Because baby crib bedding is one of the easiest, most cost-effective ways of livening up the baby nursery, and with the hundreds of beautiful designs available, shopping for it is such fun! Unfortunately, most baby crib bedding is very dangerous for your baby - the very crib bedding that is designed to snuggle and cuddle your baby can cause suffocation and overheating leading to SIDS. 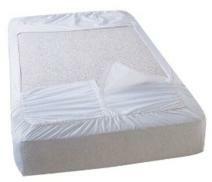 Consider using organic crib bedding for the healthiest safe sleep. You will also be saving your baby from breathing in the 1.5 lbs of toxic chemicals that it takes to produce conventional cotton sheets and blankets! To bumper or not to bumper? Whether or not to use a crib bumper has become a much debated subject amongst new moms. We've heard they may be unsafe, but then what do we do about bruised arms and legs, not to mention bumps on the head? To prevent this, make sure that your crib bumper is securely attached to the crib. Alternatively, you can weave the bumper in and out of the slats so that it cannot come loose. The CPSC crib safety standards ensure that all cribs manufactured in North America have a maximum distance of 2 3/8 inches between crib slats. 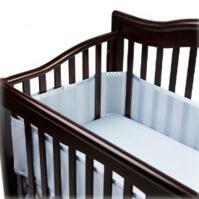 Under no circumstances should a crib bumper pad be used to compensate for wider gaps in older cribs. So remove crib bumpers at five months or when baby starts getting up onto his hands and knees, whichever occurs first. Also bear in mind that you can add and remove the bumper according to your baby's age. It seems obvious, but how many of us think of it? - no really? The crib bumper only poses a suffocation hazard when baby becomes mobile, so use it for a newborn, but not for a squirming eight week old who can wriggle herself into a corner only to get hopelessly stuck. Put it back on again when baby becomes more animated in his movement and starts bumping up against the sides of the crib in his efforts to crawl, but remove before he starts pulling himself up to a standing position. No climbing out of the crib for you! 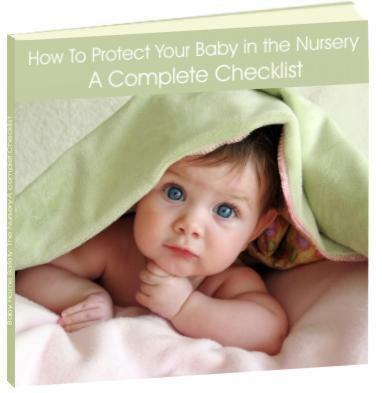 The above baby bedding and crib bumper safety information is presented by Creative Baby Nursery Rooms for the purpose of educating mothers about baby crib safety issues.